WAFFLES TOO: Um, hi everyone. Waffles Too here. We interrupt this regularly scheduled Waffles Wednesday to bring you an important DE TOUR. 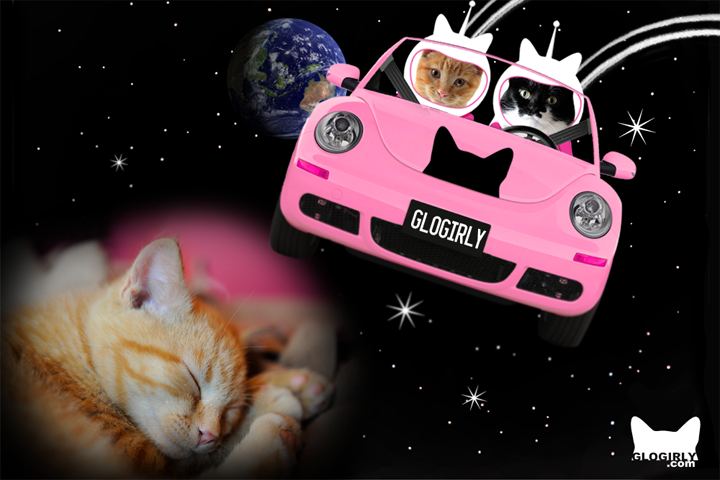 The boss tole me to meet her in the GLOGIRLY DESIGN car for a special ops assign mint. I said, "but Boss, I don't think I like mints." She tole me to hurry up and turn on the flashy lights and everything. You see there was a big blogosphere mergency. And it needed our help. 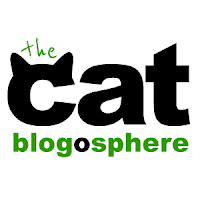 Many of you are already members of The Cat Blogosphere, the central news hub for the cat blogging community. It's where lots of us cat bloggers share news, post links to our daily blog posts and meet new friends. Don't worry if you've been living under a rock and have never heard of it before. Anyone can join. Well, you sorta have to be a cat. Or at least like them. Just last week, fellow cat blogger Morgen Pittman, adopted The Cat Blogosphere and has been working hard to create a whole new website for it. 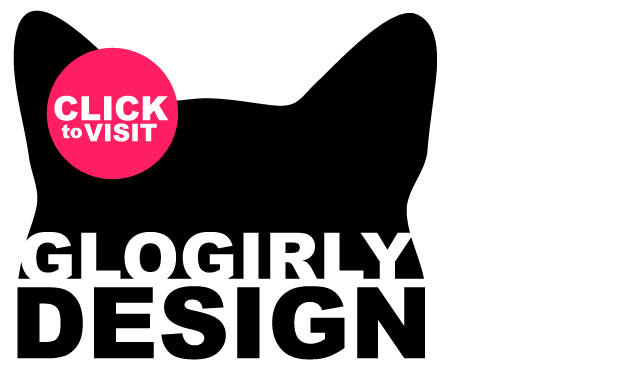 When the Boss heard the news, she sprung into action with a new logo, website header, badges...even a Facebook Cover for the recently launched Facebook Page. The Boss had a chance to talk with Morgen's lead-cat, Little Isis, in an exclusive Q&A interview. KATIE: Welcome, Little Isis. 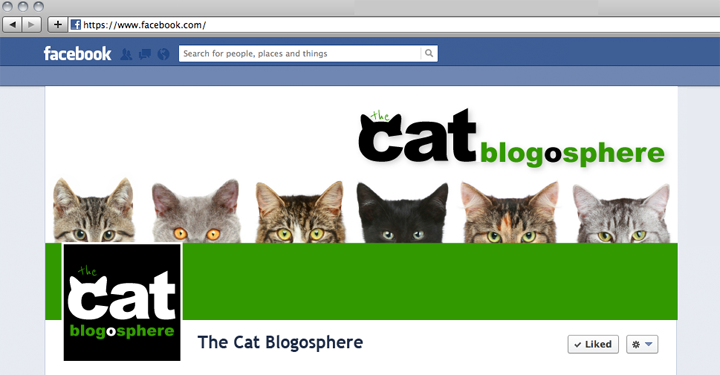 So when did you kittiesjoin The Cat Blogosphere? LITTLE ISIS: We've followed the CB since it started in 2006 and have always been an active supporter. The Cat Blogosphere is more than just a website, it's an active community of cat bloggers and we're proud to be part of that community. KATIE: So Isis...there's a whole lot of kitties in your house. I don't know if I have enough toes to count. Can you tell us about your blog and your partners in crime? LITTLE ISIS: Our blog is called Purchance To Dream and we started blogging in September 2006. When it started, there were 3 cats: Spooker, Daphne, and Chloe. Then along came me, and my brother Peter. 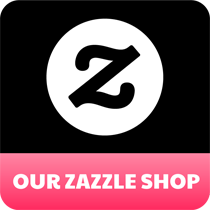 For a while, our Daddy Mo (who is also known as NTM or "Not The Mama in the Cat Blogosphere) had a shop in Michigan, and he had a shop cat named Jazper. Then came Jack and Bella. So there were eight of us. But Jaz was happier as a shop cat, a loner who liked people but not other cats. Jaz found a new Forever Home in Michigan before the rest of us moved to Florida. Now there are the SEVEN of us in Orlando: Spooker, Daphne, Chloe, Peter, Little Isis, Jack, and Bella. KATIE: What's the most important aspect of the CB to you? LITTLE ISIS: The community. 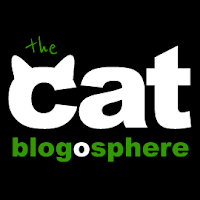 Our hope in doing a re-boot of The Cat Blogosphere website, with a new Managing Editor, template, and graphics, will help this community get news and information and guide it into the future. 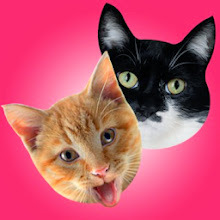 We have a new Facebook Page and Twitter account to help with the social media aspect of the site and to connect with as many cat lovers as possible. We realize that not everyone has a cat blog anymore, but we are still a cat loving community and hope to be the news hub for this community. KATIE: This is a BIG job. Will you have a staff of minions? 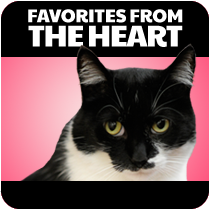 LITTLE ISIS: The Cat Blogosphere has a great history of cat blogging reporters helping with news and posts, and we'll be starting this again soon. For now, as we tweak the final template and get into a new routine, it's going to be me as the Lead Reporter, with my Daddy Mo as the Managing Editor, and my iDaddy Eyad as our behind the scenes IT guy. KATIE: So, Little Isis...any plans for the future you'd like to share? LITTLE ISIS: Taking over the internet! 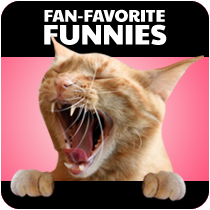 Meowhahahaha! WAFFLES TOO: Pee. S. (can I say that???) 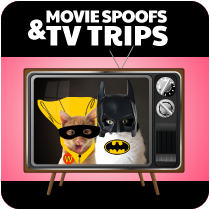 Don't forget to vote for me in the 1-800-PetMeds Cat Naps & Dog Dreams Competition!!! I'm in 2nd place behind a DOG. Every share and every tweet gets me a vote. You can only share once, but you can tweet to your heart's content! Plus, I tweeted a lame tweet and made a lame facebook comment but they *BOTH* counted as votes so who cares if they is lame-o or great, right? This is exciting news! Good luck to them! The new design looks MARVELOUS, as i knew it would! Paws up to everyone involved in getting the Cat Blogosphere updated and back online! It looks very spiffy. Are goats allowed? Another great job done by the Glogirly team. I'll check it out. Waffles, we can't have a doggie win the contest! I'll go vote for you and share!! Yikes the cats are taking over the intermutts?????? Hope it goes well. Have a wonderful Wednesday. Wow ! This is a massive job ! Wow! What an undertaking! We went & liked CB on Fb! Thanks! Glogirly did a great job with the CB! We're excited about the changes and are looking forward to seeing the CB grow! Nice design! Good job! We've liked the CB on FB and can't wait to see what's in store! okay, clearly it is time for us to move out from under our rock. we need to know more about this blogosphere for kittehs. we especially LOVE the eye catching logo. Expertly designed, per usual. BUT, I can't get Mrs. Whatsername on board as she's afraid her inbox would fill up with emails. I don't know. it's some kind of phobia. Like, she can't handle the seven unread emails clogging her inbox at the moment. But I'll work on her. Sooooooooooo happy to see the CB with a LONG overdue and MUCH NEEDED overhaul! Looks fantastic! We never heard of it under this rock so we will be checking it out! Thanks Waffles Too! The CB looks great!! Good job, Mo and Glogirly!! So we need to check out this CB! Sounds interesting. Also, we tweeted a few times to add to W2's total. We have him behind a DOG! Wonderful job and thanks for introducing us to Little Isis! We will go check out the CB on facebook! The new logos look great guys! I need to visit The Cat Blogosphere as I have never done so before. Exciting times in the Cat Blogosphere! We just love how our pals all spring into action when the need arises...just like a cat springing for a mousie...or a sock...or something like that. 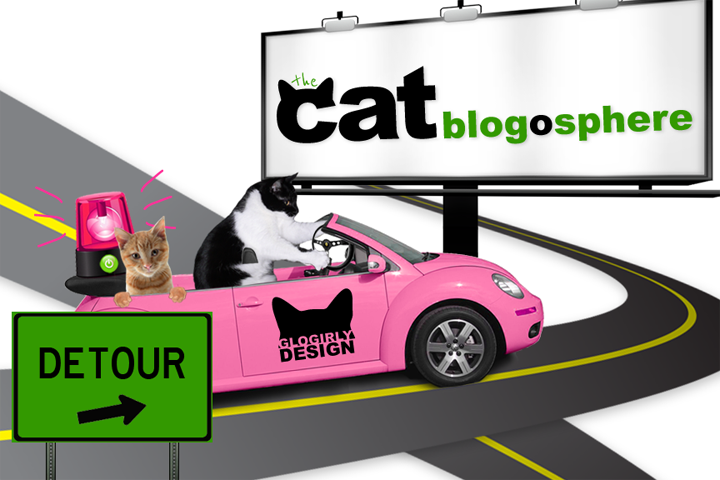 We love how the cat blogosphere looks--great work. We added a graphic to our blog and liked on Facebook. Your graphics are lovely and the CB is looking good. We had great fun with the interview, and love this article! 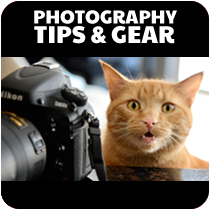 We posted about it at the Cat Blogosphere, too! Katie - is that a standard transmission you're driving? We have a stick shift, too, and I haven't quite mastered it yet. Any pointers? I sit in the driver's seat and start singing like my mom does, but the car doesn't move. ??? Good luck with the CB! That's mighty cool. Love the new look. Still getting used to the format of the pages. Terrific introduction, Waffles Too, and a wonderful interview by Katie. Great job crafting the new look of the CB, Glogirly! We love it! And we are so excited to have NTM, Little Isis and Eyad guiding the CB. THANK YOU ALL, dear friends! 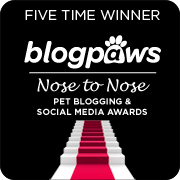 We voted for you Waffles too and we love the design for the Cat Blogosphere. Very cool designs your human has created--even the word "the" reminds us of feline eyebrow whiskers! We are all hooked up on FB and ready to catch the news. And we also voted--we can't let a DOG beat you up! Lovely design. Big thank you to daddy Mo, iDaddy Eyad and the Boss for all the hard work in configuring the new space. Great interview with Isis. We are loving our new CB website. The header and acrutements look wonderful Glogirly! And Mo, what alot to tackle but we are all so pleased that the CB will continue as a result of your hard work! Katie, you drive a stick! Our mom was so excited (she loves stick shifts) that everything else went right over her head! See what we have to deal with? You did a great job designing for the new CB! Cute graphics and interview, a job well done. And yes I voted for Waffles Too a couple times I think. Can't let a dog win. We think this is a fabulous redo! Good work Katie and Waffles Too!! 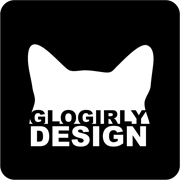 Please give Glogirly a big headbonk from us for helping give us a great new look! It looks GREAT. 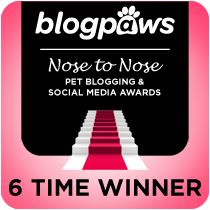 Now can you make Blogpaws look decent. MOL! Thank you for coming to my pawty. Hope you had fun. I saw you trying to sneak out without W2. Oh so furry exciting! mes sorry mes did not do any visiting yesterday. This very exciting. Awesome job. Still wish someone could figure out why some Blogger bloggers like you can't leave comments at our WP blog.